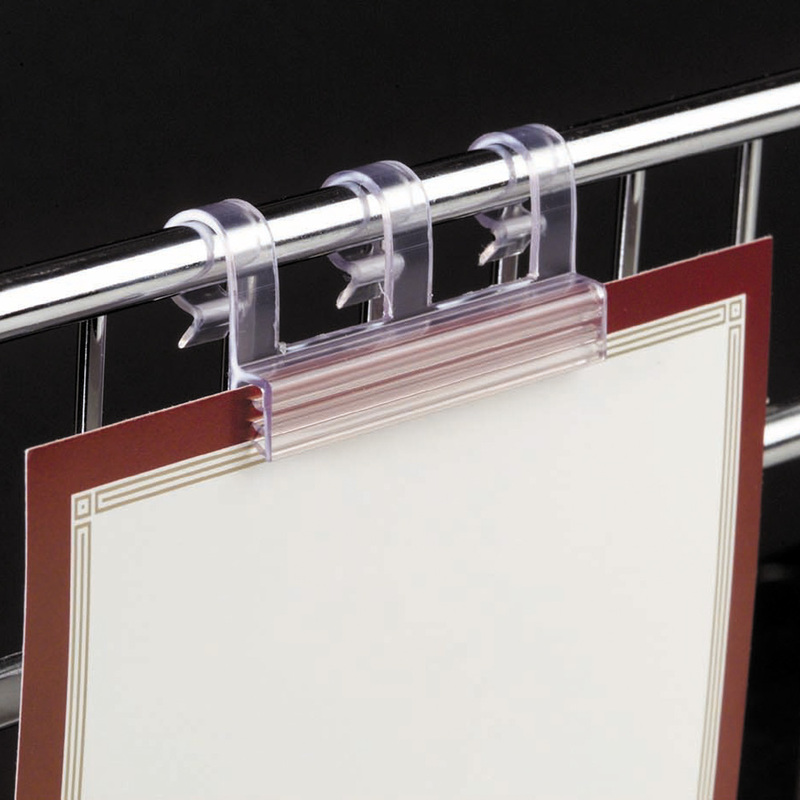 Hang labels and promotional signage from wire baskets and displays securely with our Clip On Wire Sign Holder. Signs are flush-mounted but will resist knocks from consumers and can be easily removed. 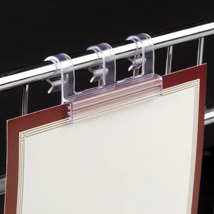 Clips easily over wire up to .375 in. diameter. Holds materials up to .080 in. thick.